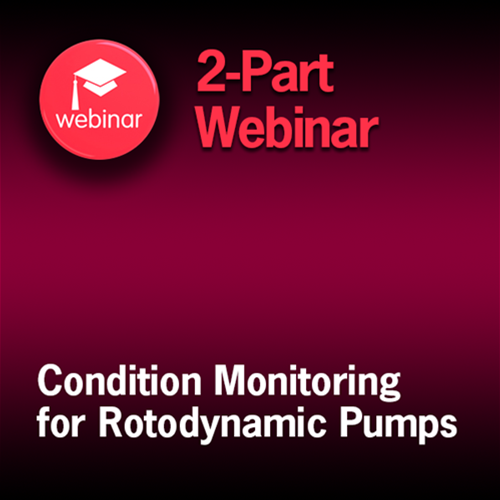 Condition Monitoring for Rotodynamic Pumps. The Condition Monitoring course focuses on practical application of the ANSI/HI 9.6.5 guideline, Rotodynamic Pumps: Guideline for Condition Monitoring, with a focus on reliability and performance issues that are costly to the overall plant. The course covers proper monitoring practices and typical indicators to monitor in a pumping system. The attendee will learn methods for anticipating failures and how to identify failure modes and causes when they occur. Vibration monitoring is also covered in detail. Please note, you have 2 days from the first day of access to complete the viewing of this on-demand webinar series. William Marscher, Mechanical Solutions, Inc.